Where is a General (Attorney General in this case) when you need them? There are a few more men joining the President on top of the “no stone left unturned”…. Update: When this post was originally written, I was working hard to save my alma mater, Sweet Briar College. While I did not like Mark Herring’s initial reaction to the former board’s decision to close the College, I would like to thank him for, ultimately, assisting Sweet Briar. Furthermore, my opinion on Mr. Herring was narrowly focused on this one issue. When I consider what I care about – women’s issues, the environment, health care access, education, and more — Mark Herring would be my favored candidate for office. Now, onto the original post…. As many know by now, I am passionately fighting the closure of my beloved College, Sweet Briar, by the President and the Board. I have written about my thoughts on the lack of governance. This post will focus on the curious and shocking lack of leadership by the Virginia attorney general, Mark Herring (you can find his contact form here), contrasted to the swift action of the County Attorney, Ellen Bowyer. I also share another example of leadership by the New York attorney general intervening in the Cooper Union College. In the early days of the Sweet Briar College closure announcement, the Virginia attorney general remained strangely silent on the matter of the announced closure. The President and Board referenced meetings with Mark Herring, Virginia’s attorney general, to “unwind” College operations and unrestricted the endowment for the purpose of closing. This stunned me. There was no leadership by the Virginia Attorney General with respect to an investigation into the closure — which would seem a logical first step (well before any closure announcement, but certainly upon learning of one). Closure would violate the terms of the will under which the school was founded and that charitable funds have been misused in violation of state law. (Susan Sverlunga, Washington Post). Mark Herring, by contrast, evidently is HELPING the leadership of Sweet Briar College to release restrictions on donor’s contributions given over the years. As a fundraiser, I find this terribly concerning. I’ve written about the topic of protecting donor intent here. Virginia Senators have written to the attorney general to express concern and to ask that he take action to protect the rights of donors and the substantial campus. On Wednesday, Sen. Chap Petersen, D-Fairfax, asked Herring to issue a legal opinion on what must be done with money and other gifts that have been given to the college, including its substantial campus. He also asked Herring to clarify the obligations of Sweet Briar’s board of directors. Herring essentially argues that in such a situation, with a charitable institution (the college, a nonprofit established in a bequest from an estate) disbanding, the state attorney general has been granted authority by the General Assembly to determine what is necessary to protect the public interest. (Susan Sverluga, Washington Post). Apart from the impact on Cooper Union itself, what’s striking about Mr. Schneiderman’s investigation is that his office is intervening before its financial problems ruin the school. Cooper Union’s endowment stood at $735 million at the end of its most recent fiscal year and, despite its financial woes, it is in no imminent danger of failing. It would be appropriate for the Virginia Attorney General to aggressively review the President and Board of Sweet Briar College. He might consider how the President was elected; whether the Board truly took all measures possible before resorting to closure; whether the financial records accurately state the condition of the College. He might consult neutral experts such as the accounting firm which audited the Colleges’ financial statements most recently or the accrediting body of the College which granted accreditation for another 10 years in 2011. Such disasters have befallen the New York City Opera and Long Island College Hospital, two major New York institutions that collapsed in financial disarray in recent years, and the Crystal Cathedral in California, which filed for bankruptcy protection in 2010 after accusations that its board had imprudently borrowed against the endowment. Unfortunately, Virginia did not have any “stress testing”. Perhaps it was a matter of staffing or a view of role. However, wouldn’t it be safe to request that the Virginia attorney general take efforts to investigate these types of important matters? Minimally, might he not stand in the way of his own County Attorney who filed suit against the wrongful closure? The President and Board of Sweet Briar College are now being held accountable by the people they did not inform or allow to help: students, parents, faculty, staff, alumnae and the wider community — the majority citizens of Virginia. Might he not consider the thousands of people begging for at least a proper process within the legal system? Whatever the outcome at Cooper Union, Mr. Schneiderman deserves credit for putting nonprofit boards on notice that they’ll be held accountable, said Jack B. Siegel, author of a widely used guide for nonprofit directors, whose subtitle is “Avoiding Trouble While Doing Good.” “More states should emulate New York,” Mr. Siegel said. This is no small matter, given that nonprofits accounted for 9.2 percent of all wages and salaries in the United States and 5.3 percent of gross domestic product in 2010, according to the National Center for Charitable Statistics. Given the many illustrious universities, hospitals, museums, orchestras, theaters and other arts organizations, nonprofits play an outsize role in the nation’s culture. But they have traditionally received little scrutiny until a scandal erupts or they’re on the brink of collapse. Indeed, more states should emulate New York. Virginia should take a lead and PROTECT Sweet Briar College, its employees, its students and its donors from the reckless leadership of the current President and Board. Sweet Briar College employs hundreds of faculty and staff. Hundreds of students call it home. 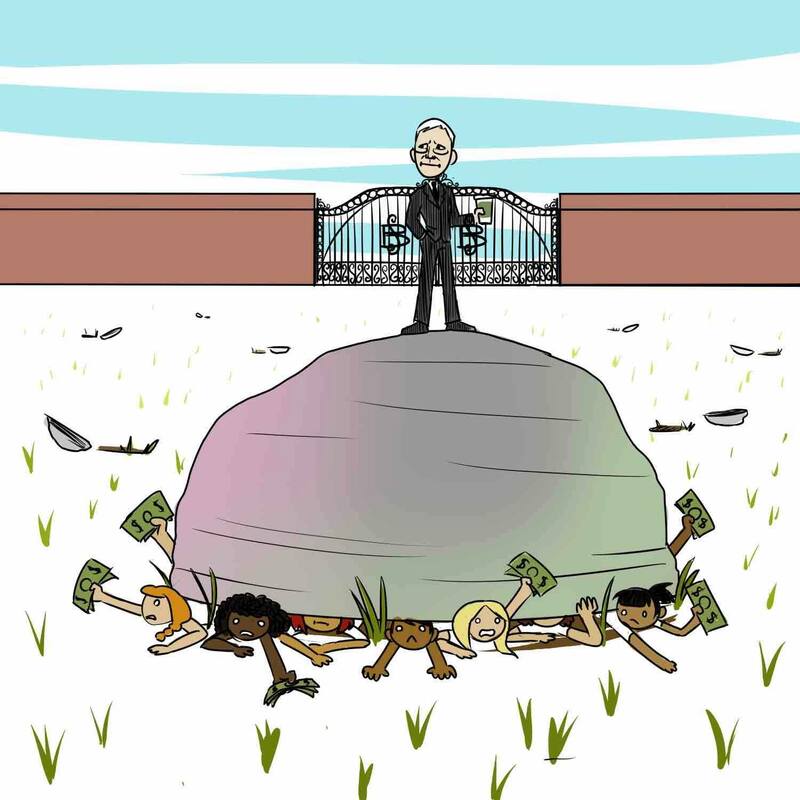 Millions in the endowment needs to be protected — not raided. Finally, the donor’s will should be honored. The one person in the state who should be advocating for the will of the founder has turned his back. This is very sad. Thankfully, we have a leader in Ellen Bowyer who took swift action. Meanwhile, Saving Sweet Briar, Inc., along with thousands of alumnae, hundreds of students and parents, community members, the citizens of Virginia and people across the country are doing all they can — primarily through donations and grassroots efforts to raise awareness. Please share your comments below and, should you be moved to give, make a commitment here. To share your comments with Mark Herring, Virginia Attorney General, you can use this contact form. Stacey Sickels Locke is a proud graduate of Sweet Briar College, Class of 1988. She served as an employee of the College in the early 1990s working on the $25 million Campaign. During that time, she solicited many leadership gifts which make up the current endowment and she feels a sense of duty that those donations are not used for the closure of the College or for any other purposes than the donors intended. Since then, she has spent her career building support for higher education and the nonprofit community as a staff member and consultant for boards. As a volunteer, she has served Sweet Briar since graduation as a fundraiser, admissions ambassador and now advocate for the #saveSweetBriar movement. 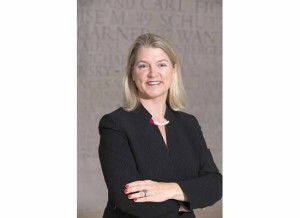 She is a member of the Association of Fundraising Professionals (AFP), is affiliated (through the University of Maryland) with the Council for Advancement and Support of Education (CASE) and holds a Certified Fund Raising Executive (CFRE) certification from CFRE International. The Donor Bill of Rights – did you know you had one? — What to do when those rights are violated or threatened. Donor Bill of Rights – all donors have these rights and institutions have a duty to uphold them. The Donor Bill of Rights is a document adopted by the Council for the Advancement and Support of Education, the Association of Fundraising Professionals and the Giving Institute, an association of consultants for nonprofits. The Donor Bill of Rights was developed so that donors — and the staff and volunteers who work with them — are aware of their rights. confidentiality to the extent provided by law. to the donor will be professional in nature. an organization may intend to share. I believe in these rights. As a member of the Association of Fundraising Professionals, AFP, I sign a code of ethics to support them. I operated under this code when I worked for Sweet Briar College in the 1990s, and helped raise a number of leadership gifts which make up the current endowment. I believe that the actions of the Sweet Briar Board of Directors to close the College and attempt to utilize the endowment for purposes other than that which the donor’s intended, is unethical. Shortly before this post, Ellen Brower, Amherst County Attorney, filed suit asserting that this breaks Virginia State Law. 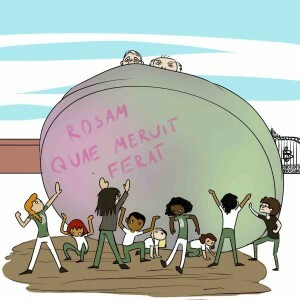 So what is the issue at Sweet Briar? It comes down to a plan on the part of the President and Board of Directors to tap into the endowment. Why is this a problem? Read on…. : the act of providing money to create or support a school, organization, etc. As a donor, I have left Sweet Briar College in my will as a beneficiary of funds (this is currently being revised). I have not left any particular purpose for those funds (this is currently being revised). When someone makes a gift to an endowment and does not have a specific purpose for the funds, that is called “unrestricted”. Unrestricted funds, pooled together, generate income used by Colleges, Universities and nonprofits for operating costs. Restricted gifts to endowment are made to achieve specific goals. Endowed scholarships (usually have a minimum) are created and the interest provides scholarships for students. Endowed funds for specific purposes generate income for those programs annually. Endowed professorships support a portion of a professor’s income or fund research projects. As a former employee of Sweet Briar College, I worked with many donors who made contributions to the College’s endowment. In fact, nearly ALL of the $13 million raised from Regional Campaigns around the country was to build endowment. The agreements people signed at the time talked about funds being used for student scholarship, program enhancement and a few other priorities. I feel a sense of duty to those donors with whom I sat thoughtfully and provided written agreements assuring them of the endowment’s strength and legacy. Boards of Directors – fiscal agents for an institution – have spending policies that determine the amount that can be spent from the endowment. A healthy spending rate is thought to be between 3-5%, even in good years. The idea is that some years investments will be up, sometimes down, and a smoothing effect of taking a smaller amount ensures for the long-term success of the funds. At Sweet Briar, the Board’s spending rate has been a higher 8% as the operating budget needed more income. This is not healthy or sustainable, but there is nothing wrong with it. I never thought I would write on the topic of “endowment raiding”, but the intentions of the Sweet Briar College Board of Directors forces me to do so. The Sweet Briar College Board of Directors voted to close the College and “wind down operations” including seeking legal intervention in order to tap into its endowment to provide severance packages, debt payments and other things unrelated to what donors intended. This action is also inconsistent with the mission of the College. Apart from my being horrified at such a sudden move by the Board (I have written about this topic on another thread), I am personally and professionally sickened by this action. It is unethical and unnecessary. I picture the donors with whom I worked. Many of them are no longer living. Others are contacting me by phone and on Facebook imploring me to do something (one of the reasons I have written this post). Many of those donors no longer trust the people they worked with in the Development Office. Who would? Donors who give to endowment give with the idea that they are creating a legacy and are making a gift in perpetuity. The memory of many dear people will be violated if the Board of Directors is successful. There are legal agreements which back up major gifts to any institution. That is also the case for Sweet Briar. Campaign Pledge Forms are legal documents with donor’s intent captured and co-signatures by campus officials. Memorandum of Understanding are draw up for more complex gift agreements. Letters of Agreement are drawn up for many five and six figure contributions. In short, to try to “unrestrict” an endowment, these legal agreements will need to be properly revisited. It is also not the case that a College or University can go to the heirs of someone and ask that funds be revisited. There are many examples of courts upholding an original donor’s intent and rejecting even signed agreements made with decendents (unless the original donors outlines those who can make decisions for them later). Trying to get children or family members to sign something should not be grounds to use funds in a way contrary to a donor’s intent. Yet, as I write, the staff of the College are doing just this. To make any attempts to unrestrict endowment is violating not only Section II of the Donor Bill of Rights, but also Section IV. Furthermore, the behavior by staff or administrators to take these action is a violation of the professional code of conduct. 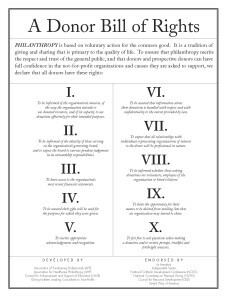 Board of Directors and administrators taking these actions shakes the very foundation of philanthropy. Donors and prospective donors should have full confidence in the not-for-profit organizations and causes they are asked to support. I feel my own professional reputation is harmed by the stated plans of Sweet Briar College. The only way to protect donor intent in this case is legal action on behalf of those donors. I am grateful that SavingSweetBriar.com is taking on the important stewardship of these gifts. It is sad that the Alumnae Association has not made more public statements condemning the plan. On the heels of this, it also seems appropriate to advocate for stronger State and Federal law to protect donors. But that is for another chapter of Being UnLocked….